On 20th September, The Guild will officially be expanding to Northern Ireland for the first time. With our launch fast approaching, we are on the hunt for the prettiest places to live in Northern Ireland. We are giving away a luxury hamper from Regency Hampers to the lucky winner with the most delightful submission. Simply message us on Facebook or Twitter with a photograph and the location for your chance to win. Message us on Facebook or Twitter with a photograph of your submission and the location. The closing date for entries is on Wednesday 19th September 2018 at 5pm. The winner will be contacted within 24 hours and will be announced on social media when they accept their prize. Competition closes Wednesday 19th September 2018. Any entry made after this date will be invalid. By entering the competition, entrants agree to be bound by these terms and conditions. By entering the competition, entrants agree to be bound by these terms and conditions. 1. 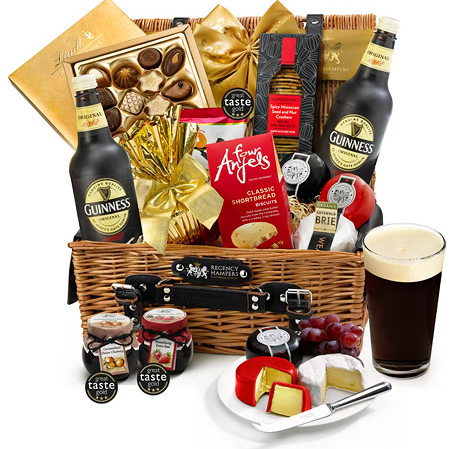 The Guild Luxury Hamper Competition is open to mainland UK and Northern Ireland residents only. 4. There is one step required to successfully enter the competition; to comment below the competition post on Facebook. 6. Winners will be chosen at random by the Guild team. 7. There will be one winner. They will be contacted via private message through The Guild Facebook page. They will have 24 hours from when the message is sent to respond, claiming the prize. Failure to do so may result in a secondary winner being chosen. 8. The winner will receive one luxury hamper from Regency Hampers delivered to their home address. No cash alternative will be provided, and the prize is non-refundable and non–transferrable. There will not be option of choice between hampers. 9. In the event that the selected prize cannot be delivered, The Guild will attempt to find a suitable replacement. A change in prize value due to reasons beyond the control of The Guild cannot be contested by the winner. Finding a replacement is at the sole discretion of The Guild. 10. The Guild cannot be held responsible for any issue arising from the fault of Regency Hampers or their delivery service. This includes, but is not limited to, any issues with delivery, damage to the product, quality complaints, or missing products. 11. Entrants may be required to take part in media activity surrounding the competition. By taking part in the competition, entrants consent to the participation in such activity fully. 12. No responsibility is taken for entries lost, delayed, misdirected or incomplete due to server functions or failures, virus, bugs, technical problems or traffic congestion on the internet or any other causes outside the control of The Guild. 13. Events may occur that render the competition itself, or the awarding of the prize, impossible due to reasons beyond the control of The Guild. Accordingly, The Guild may at their absolute discretion vary or amend the competition, and the entrant agrees that no liability shall be attached to The Guild as a result thereof. 14. This competition is organised and operated The Guild Limited of 121 Park Lane, Mayfair, London, W1K 7AG. 15. In the event of any dispute regarding these terms and conditions, conduct, results and all other matters relating to the Competition the decision of The Guild shall be final and no correspondence or discussions shall be entered into. 16. Contest not open to The Guild employees and their immediate family members.